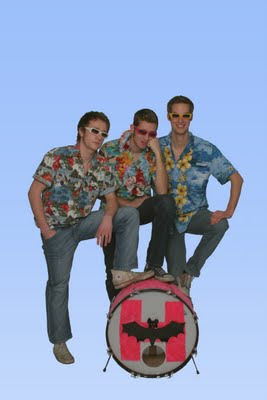 The Hawaiians are a garage rock trio from Germany, playing a surf sort of pop punk. They owe as much or more to the Ramones and the Groovie Ghoulies than they do to the Beach Boys, but all were obviously influences. From the fratrock sound of "Hully Gully" and the Beach Boysesque "Waikiki Playbat Club" to the more Ramones-like "Vampire Girl", the band has a simple sound that nevertheless is fun to listen to and might inspire a road trip if not a trip to the beach. 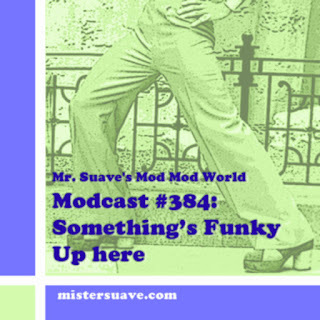 The Hawaiians have two fun-filled, garage rockin' full CDs to their credit, and the song here, "Wild Cat Stomp", comes from their latest, 2007's Hula On Mars.